Home Health What Is Botox for the Hair and What Is It Good for? Have you ever heard of botox for the hair? Even if it might sound like a made up thing, hair botox actually exists. Moreover, it’s supposed to be great for your hair. So, what is hair botox and why is it becoming more and more popular? What advantages and disadvantages does it possess? Does it come with any risks? Can such a treatment actually save both men and women time and money? Let’s find out the answers to all of these questions together in today’s article on botox for the hair. What Is The Story Behind Botox for the Hair? For years, miracle oils, creams and all sorts of “magic potions” swear to help us take care of our hair. Now more than ever, a vast array of hair products has flooded the market. Some are advertised to strengthen your hair, while other s promise to give back its vigorous look, or to simply help you get rid of dandruff. There are many ingredients that are great for your hair. 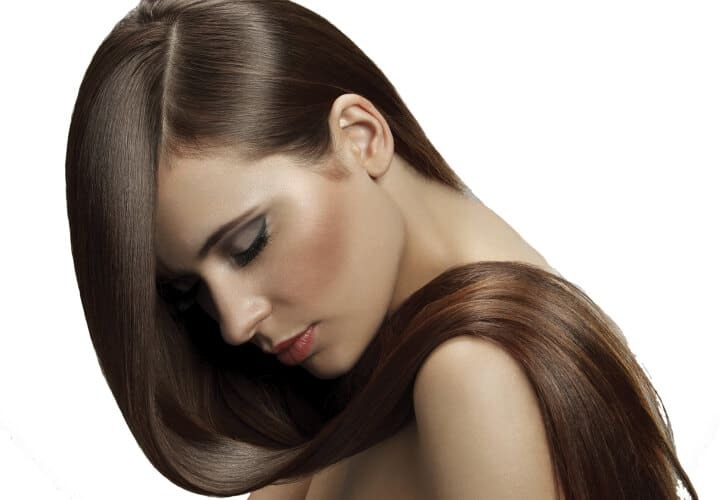 Out of all of them, it’s important to mention keratin, which is responsible with strengthening the hair. Since in time, our bodies produce less and less keratin, we need keratin products to protect our hair against breakage. Another important ingredient is caviar oil, which is one of the main substances in hair botox. Why is caviar oil so great for your hair? This is what we’re going to reveal today, by looking at how botox for the hair works. How Does Botox for the Hair Work? The hair botox treatment repairs damaged hair by using a compound made of caviar oil, vitamins B5 and E, and a collagen complex. Simply put, it nourishes hair strains by rehydrating them. Moreover, this hair treatment, as opposed to keratin treatments, doesn’t make use of formaldehyde chemicals. As such, it’s directly infused into the shaft cuticles of the damaged hair, restoring it from the inside. 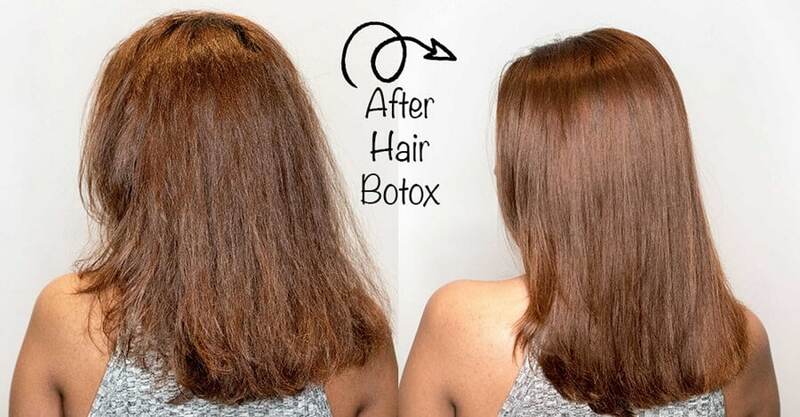 Because of the lack of harmful chemicals and the delivering of moderate protein levels to the hair shaft, we can notice a straightening effect after using hair botox. Pair this with the luscious aspect it provides due to its anti-dandruff and psoriasis effect, and you’ll understand why this treatment has rapidly become a trend. How Do You Have to Apply Hair Botox? The first step in using hair botox is washing your hair, and making sure you don’t use any conditioner afterwards. Once you’ve combed the hair and left it tangle free, section it, and gently massage your scalp with the product. This will help you distribute it uniformly, and the hair absorb it faster. You shouldn’t keep the product on for more than 45 minutes. After you’re done applying it, wash it off and soak your hair for about 7 minutes to make sure it’s completely clean. Now, if you want to get that nice straight hair look you see in commercials, you should carefully blow-dry your hair in a vertical manner, so the hair strains don’t break. If you want the product to have long-lasting results, we advise you to use a shampoo and conditioner after the treatment. Another way to make sure you benefit from it as much as possible is to use all natural products. The rejuvenating effect will be long-lasting, especially if you take proper care of your hair after using the hair botox treatment. If you’re someone who styles their hair on a regular basis, and puts a lot of products in it, you should repeat the treatment every 4 to 6 months. Why Should You Use Botox for the Hair? The advantages of such a treatment are both short and long-term. First of all, completing it only takes 45 minutes, which is perfect for when you have to get ready for a party, wedding, or other special occasion. Second of all, its effects last for at least 6 months. This means you don’t have to worry about using hair botox that often. The treatment provides your hair with a rejuvenated look, bringing it to its youthful state. It works on every type of hair: curly, straight, and all other types in between. It offers a healthy, shiny, and easy to style hair. Moreover, it’s an affordable treatment, with instant results. Even though this hair treatment is extremely popular and widely used, it’s not for everybody. Before using botox for your hair, it’s best to consult a specialist. Why is that, you ask? Well, mainly because what’s best for one’s hair might be terrible for another’s. Also, due to its acid compounds, hair botox treatments might not give the same results, depending on how sensitive your hair is. We should also mention that you must not abuse this rejuvenating treatment. Specialists recommend using it every 6 months, or if you do extensive work on your hair, every 4 months. Finally, each of us has the responsibility of maintaining our hair. In other words, if you don’t properly care for your hair, this treatment might have less impressive results. We hope today’s article on hair botox, its uses, the main advantages it provides your hair with, and the things you should look out for when using it, has provided you with everything you ever wanted to know about botox for the hair. As long as you keep in mind the things we’ve mentioned above, using hair botox will provide you with healthier, shinier, and straighter hair, that will look like that for a long time. What are Parabens? Are They Harmful? What Are the Best Apple Cider Vinegar Uses? Should You Switch From Cigarettes to Ecigs? How to Whiten Teeth at Home and what Is the Cheapest Way? What Do Product Managers Do? What Are The Health Benefits Of Peppermint Tea? How to Become an Esthetician?